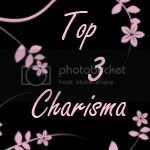 I am honored to be a Guest Designer this week over at One Stitch At A Time!! 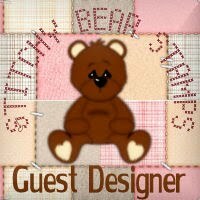 I love playing Stitchy's images as well as many of the other artists that you'll find at Stitchy Bear Stamps! This weeks challenge is to "USE SOMETHING NEW"!! 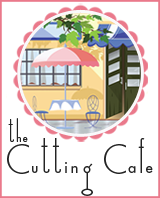 For my challenge project, I chose to use an image from Stampin' Dragon Designs! My son graduated on May 27th from high school, so I wanted to make him something special that I could give him his graduation present in. When I seen this cute image of chocolate from Stampin' Dragon Designs I knew what I wanted to do. I love the movie Forrest Gump and one of my favorite quotes from the movie is..."Life is like a box of chocolates...You never know what you're gonna get!" And isn't that the truth!! Especially for a new graduate and young adult going off into the world. So I made the box below to hold his new mp3 that we got him as a Congratulations and to let him know that we were proud of his accomplishment! Hope you like it as well!!! 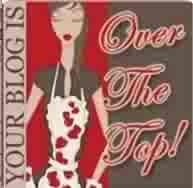 Be sure to join One Stitch At A Time this week and let's see something NEW!! 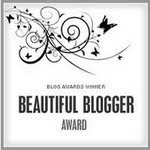 Thank you Stitchy and Sam for being so kind and helpful to me this week (and always) and for inviting me to be a Guest Designer for your challenge blog! I've had a lot of fun!! Marvy Uchida Mega and Giga Punch for my circles - 3" and 2.5"
Sentiment Computer Generated on 3" Circle -- THANK YOU ANGELA!! ~SEW MANY CHALLENGES #14...."EASEL IT"
This week over at Sew Many Challenges, we're to make an Easel Card.You can find a video tutorial on our challenge blog post. Check out Sew Many Cards for some awesome new images!! I hope to see ya join us this week over at Sew Many Challenges. 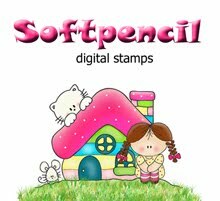 Soft Pencil is our sponsor this week and Elizabeth is generously offering a $15 voucher to her store for the winner!! WOW!! You have until midnight EST, May 20th, to get your project entered! So, I finally got my challenge card done!! Ummm maybe a week late...BUT I combined it with this weeks challenge, so I'm all good again lol I'm slowly catching up with myself and with my planner. Sooner or later I WILL learn how to juggle crafting and everything else I have to do!! So I've made a Christmas Easel card! I'm usually my own worst critic, but I do have to admit that I like how this one turned out. Hopefully you will too!! Now on to my project!! This week at Sew Many Challenges we are lucky enough to have Stitchy Stamps sponsor us!! Stitch has so many cute images in her store, so you really need to go and check her out!! She's got some wonderful designers in her store also, so be sure to check them out also!! Stitch was generous enough to supply our sponsor team with images to work with this week and below you'll see the one I chose. It couldn't fit me more perfectly lol When I first came on the internet scene my handle was "Lil Devil" so as soon as I seen this image, I knew I had to work with it. If you haven't joined us yet over at Sew Many Challenges, it's not too late! All ya need to do is make a Christmas Project. You've still got a few hours to get something made!! 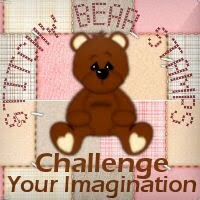 If ya need an image check out Sew Many Cards or Stitchy Stamps for some great choices in digital stamps! Now for on to my sponsor project! Hope you enjoy!! I took two pictures, one with the flash, which is directly below and then one without. I can never get my pictures the way that I'd like. I apologize for that! Anyways, I had this card in mind for my husband on our anniversary last week, but as always, doing what I'd like and finding the time do it, are two completely different things lol Sooo I just may use this card as a little surprise one of these nights...lol...yup you got it...when I find the time!! I hope everyone has had a wonderful weekend! It's been pretty windy and cold here in Arizona, so perfect weather to sit in my room and craft a bit. The card I have for you this week is one that I made for my husband for our 18th Anniversary. He likes to put the cards I make him on his side table next to his side of the bed, so I figured what better card for that than the easel card. Hopefully he'll like it when he wakes up! For this easel card, I used the Owen & Grace Wedding image from Sew Many Cards. I thought this image was perfect and tried to color it to reflect us 18 years ago, as well as our wedding colors. If you think this image is as cute as I do, then head over to Sew Many Cards and grab it for your next project!! If you'd like a chance at winning this image, then join us at Sew Many Challenges for our May New Release Blog Hop going on NOW!! Head on over to win a chance at a $10 Shopping Voucher for Simon Says Stamp, random comment winners, discount at the Sew Many Cards store, and the complete line of new releases this month! !